Angels at Christmas on The Angel Connection + FREE Readings! This is a very special show with CJ Martes. She will focus on the love of the angels during the Christmas season and how we can become more like them. 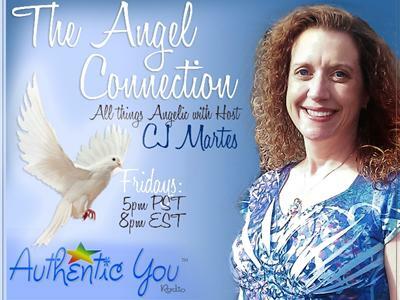 Due to the overwhelming demand from listeners of the show, CJ will open up the phone lines for a full show of free angel readings. Happy Holidays! To stay informed on all things angelic, visit the official show page of The Angel Connection www.AuthenticYouRadio.com/The-Angel-Connection.